Castle of Horrors: Running away is Cardio! We started in a basement, and exploration revealed some sort of stinky ooze. We tried to set it on fire with magic napalm. It sorta ran away, but we realized that we’d cleared a path for it to follow. We ran away, looking for trade goods in the form of napalm. We cleared out a stable where there used to be goblins as a future base. We wandered around and found an MC Escher stairwell, which confused us all mightily. We tried a different stairwell, went downstairs, smelled foul ooze, saw one chasing us, and sprinted back up the stairs. This is interval training, adventurer style. So we decide to check out “the overlook,” an area we’d not explored before. We look. More spiderwebs, but nothing . . . wait. A glint of copper in the north shed. The spider strands run down, down, down, down. Wow . . . they wind up in holes in the cliff, and from there they go down down down more into the mist-shrouded valley below. Oh, and then we trigger a scything blade trap. Human neck level, and waist level. Thomas interposes his shield. . . . and it hits the shield. 10 cut to the shield itself, what with it’s DR 7 and 40 HP or whatever. I mean, really, who sets a trap on garden tools? The dwarf (Curious, Greed) decides that if some asshat has done enough work to trap this room, there must be something valuable here. Treasure, secret doors (maybe in the ceiling, because Driders), or something. He burns Luck, and does searches and trap finding and . . .
. . . there’s a 4″ tall, 6″ wide gap at the bottom of the pile of junk. There’s a small wooden chest hidden beneath there. That means we’ve validated his paranoia, and we’re going to spend the rest of eternity tossing these rooms and checking for traps. It’s about 12″ x 6″ x 6″. It’s kinda heavy. Heavy is good. It’s also locked. One lockpicking roll later, it’s open, and a small cloud of green/yellow gas shoots out and covers him and Neil. Neil takes 4 HP of injury due to acid, and all his armors drop by 1 DR from ablation. Gonna need a new ballistic cloth vest. Inside the chest is a bucketload of gold and silver coinage. 57 gold coins (57 oz of gold! ), which is about $65,000 in gold, and 10 lbs of silver which is worth about $2,200. Nice haul. Our (Greedy, Curious) dwarf decides we need to search every other room here for similar finds. Neil is going to stand 3 yards away from him at all times, because he used to be pretty. The southern shed is empty. We wander around some more, and eventually we find the goblins again! We buy five or six Potions of Napalm. We establish that the local rate of exchange from gold to silver is far inferior to back on Earth, so we need to be stingy with gold here. We also pick up a potion of fire breathing. And we decide to go hunt oozes with fire. When I return from putting my child to bed, we’re flinging fire at the ooze, driving it away and taking some fireballs in return. And then some bone piles start getting up . . .
We’re told that chest is one of the great treasures of the castle: the Lepruchaun’s Pot of Gold, which was actually a chest. Tonight we played in another session of Castle of Horrors. We set up a proper fire lane against some four-armed seige beasts, and more or less made as short work of the as one would expect with that many guns trained on flesh-and-blood 12-foot-tall humanoids. Which is to say: very short. We can’t stand toe-to-toe with just about anyone, but give us some time and a bit of distance, and our motley collection of .308 rifles and 12G shotguns will do the trick on flesh-and-blood creatures. Turns out, they bled gold when killed. I have never in my life seen a better rationale for murder-hobo-slaying for profit. Both our silver and our gold treasure turned out to be the death-blood of enchanted animated (?) creatures. We recovered the statue of a crow that was calling to Jaime or Raleigh (I can’t recall), and circled the castle. We surmised – it turns out correctly – that the statue was a key that would open the portal to take us home. We ‘ported back and sold our precious metals for about $1100 each, I think. We kept some of the other things – like the old armor – we’d found, scouring off the rust and patching what holes existed. That turned into a Good suit of DR 8 plate that fit Raleigh. So yay. Neil (me) grabbed his kevlar (DR 5, DR 10 vs bullets) vest and DR 25 trauma plates (vs. everything) that cover his chest. So now he’s DR 30 on his chest vs most things, DR 35 vs pi damage, but only DR 5 on his abdomen, and nothing anywhere else. We started to fix the “anything else,” too. Mark allows us to get anything that we can find on the web, at the price listed. I express-ordered a Class IIIA ballistic helmet ($700) and integrated hearing protection and tactical communicator ($1300). That’s enough to protect against .44M rounds – 15.6 grams at 436m/s. I also bought a fine katana (because I knew where to get one online that was ‘good enough’ quality) and a hatchet, for a bit of melee ability. Then we decided to go hunt gargoyles. We set up a trap, triggered it . . . and now have at least four gargoyles chasing Ryan (Emily’s character) down the hallway as we shoot at them. We formed a firing line and created a “funnel of death” for our ambush. But they’re unliving and homogenous. pi- only do 1/10 damage, pi is 1/5, pi+ is 1/3, and pi++ is 1/2. My rifle? 7.62x51mm SCAR 17S. So 7d penetration turn into about 1d+1 injury pretty fast, and these guys seem to have plenty of DR and HP. We didn’t think this through the entire way. Our goal was to trap, isolate, and kill one of the gargoyles, and whittle them down one at a time. That’s still our goal, and we’ll see how our Endor-trap works. Gargoyle Hunting: Not got-d**m big enough! We have the right idea, but probably the wrong firearms. My .308 only will deliver about 1d+1 injury per hit, assuming DR 0 (which is a bad assumption from the get-go). So only a few points of damage per shot. A Ruger Super Redhawk in .454 Casull does 5d-1 pi+. That’s about 16 points of penetration, which will translate into 5 points of injury. That’s on par with my 7.62, so I’d still take the rifle. The shotguns fare better. Full-bore slugs are nasty, and sabot slugs even nastier, and both are pi++. The rules say multiply shotgun damage by four, for 4d+4 each, which means 2d+2 injury depending on what gets past DR. that’s 11 points per shot, nearly doubling the rate of destruction. The Kel Tek KSG (which one of our characters carries) would be a good choice here. Sabot slugs are frequently about 12.7mm (pi+), and can hit very hard. The Remington 3″ copper slug – hollow-point no less! – should clock in at about 4d+2 pi++. So 16 points of penetration should then do 8 points of injury, again assuming that DR doesn’t drop it too much. Unless you’re shooting actual slugs, you need to hit .60 caliber (15mm) before you eke out the real hurt. An H&H Royal Double would do it. that’d 5dx2 pi ++, or 35 points of penetration, and 17 points of injury. That’s very nice if you have the $10K to spare. And you get two shots and probably a bruised shoulder. The .50 Beowulf seems like it might be interesting but it works out to 5d or so pi+. That’s not terrible, but the shotgun is better, and the KSG has quite a few in the tubes. The next step up has to be the .50 BMG. 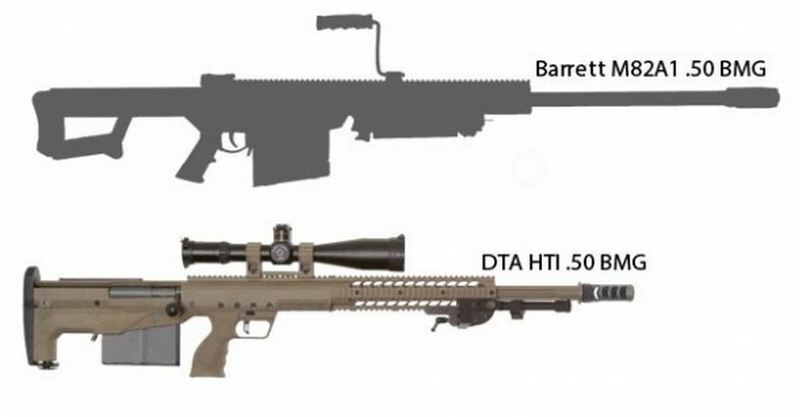 There are some quite portable bullpup .50 caliber rifles, such as the Desert Tech HTI. This bullpup, magazine-fed 12.7x108mm (.50 BMG) “only” weighs 20 lbs (unloaded) and has a 29″ barrel, which will hit for 12d pi+. That will strike for 4d injury, or about 14 points per shot. That’s the best yet, even better than with slugs, and with more raw energy in the round so as to better handle DR.
What about stone? Well, you can order armor piercing .50 BMG for those pesky gargoyle problems. At only $4 per shot. The rifle itself isn’t cheap – it’s about $5,100. 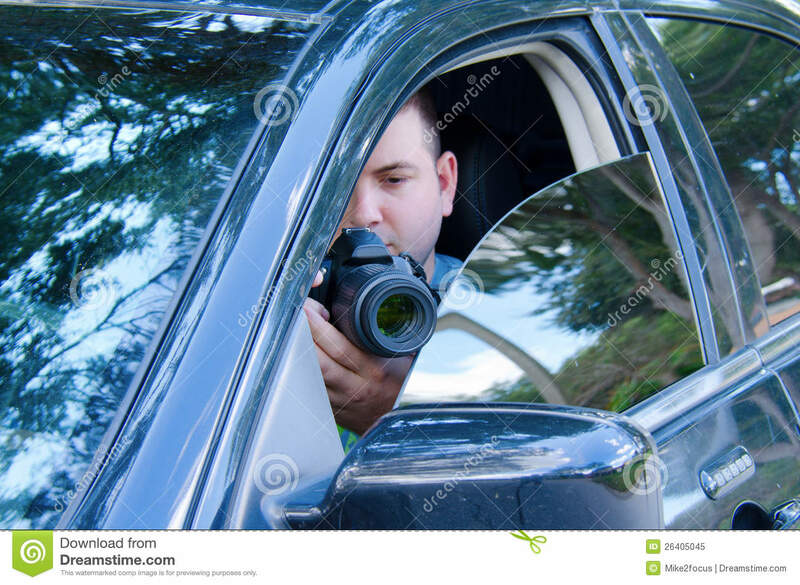 Ironically, for this particular mission, the usual Leopold or Schmidt and Bender optics can probably be ignored in favor of a high quality reflex sight. So for about $6,000 you can nab the rifle, an optic, and a few magazines of ammo (which won’t be light). That’s serious anti-gargoyle hardware. And since you don’t want to miss, you’ll want two people toting them, so you can aim/fire or fire/aim and hit hard once per second. Against flying targets that can dodge, you’ll want that. But it is five inches longer (and 10-12 lbs heavier) than an M16 (though only an inch longer and 8 lbs heavier than an M14 . . . well, probably more like 10-12 lbs heavier with 10 rounds of .50 embarked). But really, we knew we were going after up to eight nasty creatures with stone for skin that tended to shrug off bullets. Our “Let’s lure out a gargoyle and take them down one at a time” may still be a good plan. But they’re hard targets, and we’re not as well kitted out against these guys as we could be. We shall see . . . next week! This is my character for +Mark Langsdorf‘s Modern meets Dungeon Fantasy mashup, Castle of Horrors. Some thoughts on his generation and makeup are intermixed. Neil finished high school and joined the Army, where he was a pretty good soldier, mostly light infantry. Ranger training. Probably saw a bit of combat. When he got out, he decided to become a police officer, where he was picked up as a SWAT guy. This didn’t sit so well with him after he noticed a pattern of excessive force. After a spectacularly botched raid, he was set up to take the blame . . . but he happened to be out sick with salmonella that day. Ooops. But he left the force in disgust and went to college. He dabbled as a rep for Fabrique-Nationale USA for a bit, so he has a ridiculous thing for FN weapons – it’s definitely not rational. Studied law, psychology, and became a fairly successful PI. ST 13 ; DX 12 ; IQ 12* ; HT 12† . Damage 1d+1/2d-1; BL 34 lb; HP 13 ; Will 12 ; Per 14‡ ; FP 12 . Basic Speed 6.00 ; Basic Move 6 ; Dodge 10§. Neil is a bit of a jack-of-all-trades stats-wise. We have enough points that I basically consider the list above with all 12s for stats (for 120 points) the equivalent of a “Just Damn Better Than You” package if we were doing a Pointless Action/Dungeon Fantasy package build. It’s 6x 20-point slots if you build him that way, or if you’re using 25-point slots, make it five of them, with +1 to Perception thrown in. Regardless, he’s strong, fit, and notices stuff, but isn’t living in crazy-town for any of it. I wanted him to be fluent in Spanish too, and he is – but this campaign has languages as background fluff, not on the character sheet. So he can be considered to be fluent, or at worst Accented, in Spanish. Angela is no wimp, so she counts as an ally as well as a dependent. I had to work a bit to get Comfortable Wealth in there, but it was important to the character concept to me – he’s good at what he does and can afford some cool stuff. This may well come into play if we ever bring out any of the loot from the Castle and decide to venture back in. I need to keep Danger Sense in mind, though, because I didn’t invoke it last game, and I probably should have more than once. Fit is funny, and probably doesn’t impact games as much as it should unless you’re using The Last Gasp or something. Hrm. I just had an idea for a really, really simple TLG. Might be interesting. Friendly (very), confident, and loyal to his friends and fellow troops. Like most Rangers I have known, more or less still lives the Ranger Creed. Has a thing for FN Weaponry. Don’t try and explain it. I like leaving quirks to be defined in play. Thus far, he’s got a good banter thing going with Yousef, thanks to a misheard one liner (“Stinky herbs are go,” from Buffy the Vampire Slayer). Everyone heard “Stinky Arabs must go,” which became a thing, and may become one of the quirks in the future. Techniques: Close-Quarters Battle/TL8 (Guns (Longarm)) (A) -20. He had a bunch more PI-related skills, such as Shadowing and a few others. Mark had me remove them as not germane. He said anything that can be considered a Background skill that might come up can be rolled at flat IQ – which is more or less where all of my background-type skills were anyway. That’s a good idea for having background skills – follow the guidelines for a 10-point Talent from the Talents book, and define those as your background. You have them all at IQ or DX, but you can only roll against them a few times per session, perhaps. Unless you’re an attribute monster, having 10 extra skills (or whatever) at 12 won’t break anything. It’s also great “and this is my day job” characterization. Neil is fairly well off, with Comfortable wealth, and has a large collection of gear. Much of it is not with him, however, since there are things you bring in your vehicle or trailer (he has both), things you leave at home, and things you pack in a backpack on a 12-mile hike to the campsite. As the boyfriend of the daughter of the private land we’re on, his role is not strictly hunting for deer and pheasant. He’s there mostly to kill feral hogs, which is why he has the weapons he has. I liked the idea of having him be over the moon for particular brand of weaponry. Sort of a “when I was poor I lusted after these, and now that I’m not, I bought them all” kind of thing. 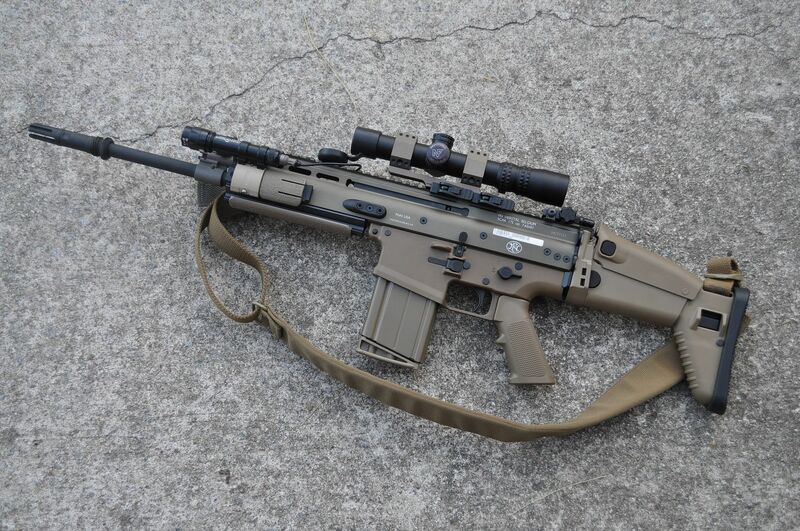 The SCAR isn’t necessarily a great gun, from what I understand (not that it’s a bad one, just that it wasn’t the World’s Greatest Infantry Rifle that it was supposed to be), but I wanted something FN, that fired a round capable of downing feral hogs, where you don’t care about the meat but might need to take more than one shot. The Five-seveN pistol is a neat beast, and personally I’d love to fire one to try it out. The P90 bullets wound like 9mm’s if they fragment properly, but I’d be worried personally about if the small pistol bullet would be effective. But Neil? BEST THING EVER. I like it that I found a good reason not to simply optimize all his kit for “best GURPS stats.” That’d be a.40S&W or 10mm Auto for the handgun, and a 6.8x43mm (6d damage, but good ammo capacity) rifle, probably built on an AR15 platform for cost. But that’s not Neil. I also didn’t bring 10,000 rounds of ammo. Three magazines for each weapon, plus a few boxes of loose rounds. That seems like a reasonable load. I may see if Mark will let me have given the BAR .300 Win Mag to Angela to carry, as she’s not really in this for the hunting and she’s also sporting a 5-7 pistol, a gift from Neil. Would make some sense, and I’d like to have the long gun with us. All of this stuff is things he’d have, but no way he’d back them. Bullet-resistant vest? Trauma plates? Baton? Um, no. Likewise with the long gun, though we’ll see about that. We got in our first game of Castle of Horrors, a GURPS mash-up with modern day characters that get transported to a Dungeon Fantasy world. There are lots of house rules and altered point costs and stuff. I won’t go into that now – you can probably read all about them on +Mark Langsdorf‘s blog. The rules were arrived at more or less by consensus, in that Mark posted them, gave us time to offer objections or changes, and then locked ’em in. We were old friends from college, meeting on a big ranch in eastern Texas for a hunting weekend. In 2012, there was a Shadowrun-esque genetic expression event, so some of our party are non-humans/demi-humans. One troll-like creature, one dwarf, an Orc, I think. We started in the famous “you wake up from a night’s sleep” ploy (usually associated with bait-and-switch, but in this case, we were all forewarned, so booyah), and found ourselves in between a castle wall and its keep. 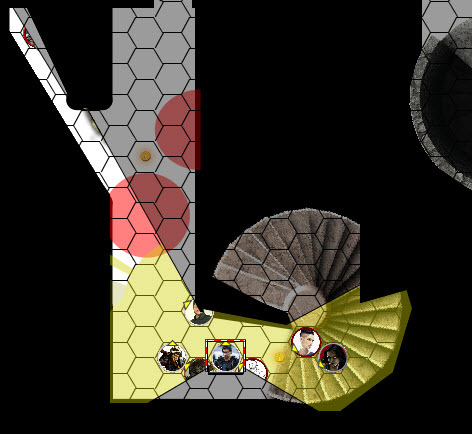 Initial exploration led us down a hallway, and it was spooky enough that all of us brought out weapons – especially after looking at what seemed to be bloodstained crossbow bolts embedded in a door. And the bolts were very organic-looking. Chitinous heads, some sort of bone-like or tube-like shaft, and freaking dragonfly wings for fletching. Looked grown,not made. So weapons out. We were well provisioned, as one of the conceits of the campaign was that we were hunting deer, birds, and feral hogs, which are an agricultural pest. Ergo, some of us had fairly serious weaponry. My former Ranger, ex-Cop, current Private Investigator has a SCAR 17S, a Five-seveN pistol, with ammo. He’s also got a FN BAR .300 Win Mag somewhere – maybe “in camp,” but we were all in camp. So I might have it with me. He’s got a bunch of other stuff – like armor and trauma plates – in his car and trailer back at the ranch owner’s house. But not with him. Anyway, we explore, we get shot at by a four-armed giant dude (!) with a crossbow. which strikes one of our NPCs in the chest, bringing him from 15 down to -13 HP in one shot. Roll for mortal wound, etc. We drag him out and close the door, and are not pursued. Raleigh, who has always professed magic is real, mutters something in latin and removes the arrow and completely heals her boyfriend. Yowzers. We freak out even more. Well, except for Yousef ( +Nathan Joy ) and Neil (me), who are both ex military and were watching the line of approach of potential 4-armed bad guys. We collect ourselves, and as we try and leave. the statuary (four dragons) starts waking up. One tries to breathe fire on Ryan (our troll, played by +Emily Smirle ), who tries to step in and melee parry the jet (which means pushing the face in a different direction). That doesn’t work: he’s burned for 1 point of damage, but has DR 5 so mostly ignores it. We fight, and these SM -4 critters are easily slain at close range (just a few HP each) by our weapons. My first shot was 31 HP of damage with three single shots (one hit) with no time to Aim from my SCAR. Yousef pasted one as well, as did a shotgunner with a 3″ 12-gauge buckshot load. One of us got his face a bit flambe’d, but only minor damage and sartorial embarrassment. So we ran for the outer courtyard. We huddled up, and decided to explore the outer area. We saw, through a gateway which featured a crane that had hoisted up a functional portcullis, a bunch of . . . well . . . gremlins? Yodas? 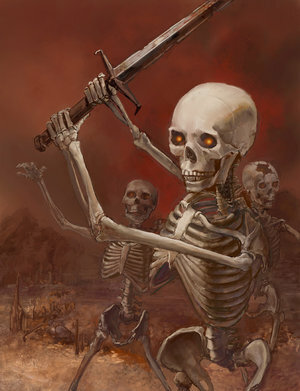 Goblins? Hrm. Goblins. Ryan, being a friendly, non-shooty troll, waves. Neil, being less friendly, takes careful aim. They wave back. Yousef, whose job in the army was as a translator and liaison type (maybe Special Forces? ), muttered about not wanting to do this crap again which is why he got out, etc., and goes in to play diplomat. He does not manage to start a fight. We manage to not ruin his perfectly good liaising. We, however, look into a window and see a cool silver statue of a raven (Crow! Crow, dammit!) on an altar inside an obvious chapel . . . which seemed to be all blocked off as if to ward of a horde of zombies. Anyway, we decide to venture back in, and note that the dragon statues blood looked like actual silver. It was. Maybe a few pounds of the stuff, which was probably worth about $500. We decide to explore, just a little. We take down a door, encased in brass or bronze, by removing it off its hinges, and prop that against the entry beyond which was the four-armed creatures. We go down south again, and find a statue upon which is a suit of full-on plate armor. DR8, cheap, reinforced vitals, weak back and limbs, weighs about 55 lbs total . . . and only fits Raleigh. We suit her up (she’s got ST 11, Lifting ST 12, and HP 13 . . . so no wilting flower is she). As we all head back to the main room, which we called “the octagon,” (on account of its being shaped like . . . well, you know), the gargoyle statues in each vertex (eight of ’em!) start to writhe and wake up, as did the dragon statues in the prior room. We end there . . . but it’s on. I’ll keep updating this with edits from the other players as they make them. I did not try and capture every detail, and I was having too much fun to capture screen shots. Mark did a GM-view post on our first session as well, and it’s worth reading. He also links to the CoH Wiki as well as a list of house rules. especially his new fright check rules, which worked very well.